Have you been seriously injured while boating on a lake? Have you lost a loved one in a boating accident? Do you believe that someone else’s negligence was responsible for the accident? Are you looking for an attorney who understands boating accident law? At the law firm of contact us at our main office in San Jose by calling (408) 289-1417. You will pay nothing unless we win your case. If you have been injured in a sailboat, speedboat, water-ski, or other boating accident on a lake or other non-navigable waterway, you have a right under California law to pursue personal injury compensation from the party responsible for your injuries. We serve clients in San Jose, Santa Clara, Los Gatos, Campbell, Sunnyvale, Palo Alto, and other Bay Area cities. Liability for boating accidents is a unique and complicated area of law with different standards of liability than exist in car accident and other motor vehicle accident cases. In boating accident cases, the other party will typically argue that when you decided to participate in a water sport, you assumed the risk of injury. However, just because you know there is a risk does not mean other people are not liable. Our attorneys know what it takes to prove liability in a boating accident case. We work with highly qualified, credible experts to demonstrate the extent of our clients’ injuries and the medical, financial, and personal consequences of those injuries. The lawyers at our firm are fully prepared to go to court if necessary to get the compensation you deserve. Do not hesitate to contact us to discuss your boating accident with an experienced and attentive attorney. 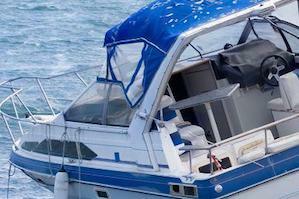 Call (408) 289-1417 to speak to a boat accident lawyer today.